Everyone knows a hydrangea when they see one. 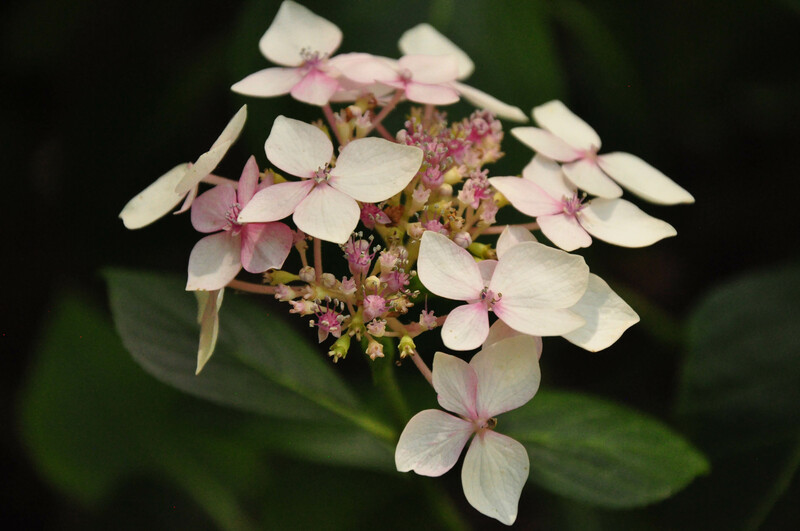 But not everyone knows that its name, hydrangea, comes from the greek for “water recipient” and refers to its seed capsule, that looks like a little water vase. Or that, in most cases, the flower is white. Its colour – pink, blue, purple – comes mainly from the pH of the soil. An acidic soil will give you bluer flowers, while a more alkaline soil will infuse the flowers with pink. Or that there is an island in the Azores that is called The Blue Island, so invaded has it become with hydrangeas. Mostly, it likes the shade and constant loving care. well, I knew that hydrangea means “water sipper” and think that it is called like this, because hydrangea needs and wants a lot of water. Your photo is very beautiful, I love hydrangeas and have a lot in my garden. Great information , am just growing a cutting from a friend and hope it grows strong for my new garden.